It was very difficult to add google adsense on my blog after when i get approve by google and how to use AdSense dashboard, and how to add it on my blog. When it comes to WordPress, there are many plugins like Whytodowork AdSense, Quick AdSense, WP WQADS which will let you quickly integrate ads at your desire position. 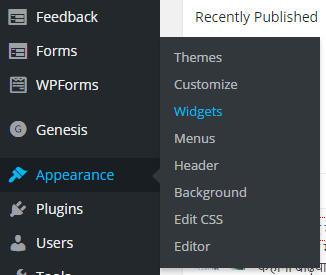 To be honest, I find plugins are easier to do things on WordPress over manual Work. Until, unless you know PHP, and understand WordPress theme structure. This article is for those who wants to show their advertisement on the sidebar of your blog. First of all login to your adsense account and create a channel and copy the ad ad unit you want to show. 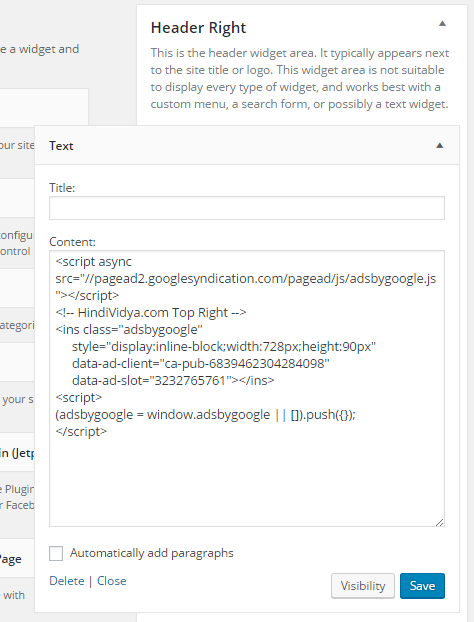 Select Text widget and edit it and paste the Adsense code. With simple two minute of work you can add Google Adsense to your WordPress blog.